Web developers never cease to amaze us with new tools and features for a website, and we dedicate this article to one of this novelties. 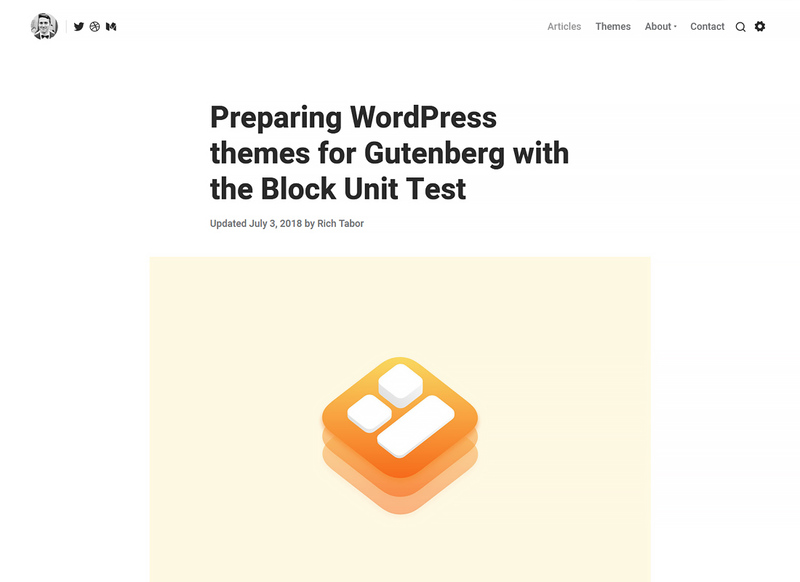 Today we will talk about the Gutenberg WordPress Editor which has comparatively recently arrived on the market. Gutenberg, like any other visual content editor, was made to provide people with different web design skill levels, with an opportunity to experience simple and enjoyable web design creation. It contains a number of blocks, which you can use for the website customization simply dragging elements around the page. Gutenberg is an excellent choice for the content creation, as it has a very intuitive drag-and-drop interface for all users. Today we want to provide to your attention a bunch of premium WordPress themes that come compatible with Gutenberg website editor and support other premium plugins. Let’s dig into this list and find the best web solution for your business. 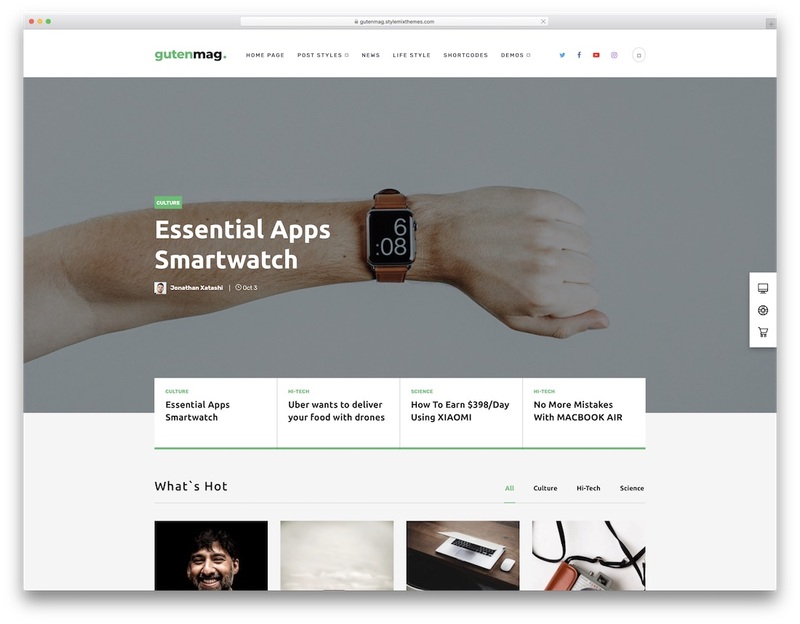 From the name alone, you know that GutenMag is a WordPress theme compatible with Gutenberg. If this is the type of tool that you are in need of to create a modern and highly optimized online magazine or a blog, GutenMag is a great pick. Building your own web space just became quick and straightforward. In the GutenMag package, you get all the needed and then some to fine-tune your page and make it stand out a mile. There are also multiple ready-to-use demos which you can employ however you fancy. Either you use them out of the box or tweak them, the end product is guaranteed to be a striking one. GutenMag is also mobile and AMP ready, following all the latest web and tech practices to make sure your page delivers the most advanced performance and stupendous user experience. Different post styles, fast loading speed, free lifetime updates and GDPR compliant, these are just a few extra goodies of the impressive GutenMag. Just have a look at this fresh and clean Gutenberg WordPress theme, that has been created with the original Gutenberg page builder in mind. Stop bothering yourself with learning HTML and CSS, as you won’t need them anymore! 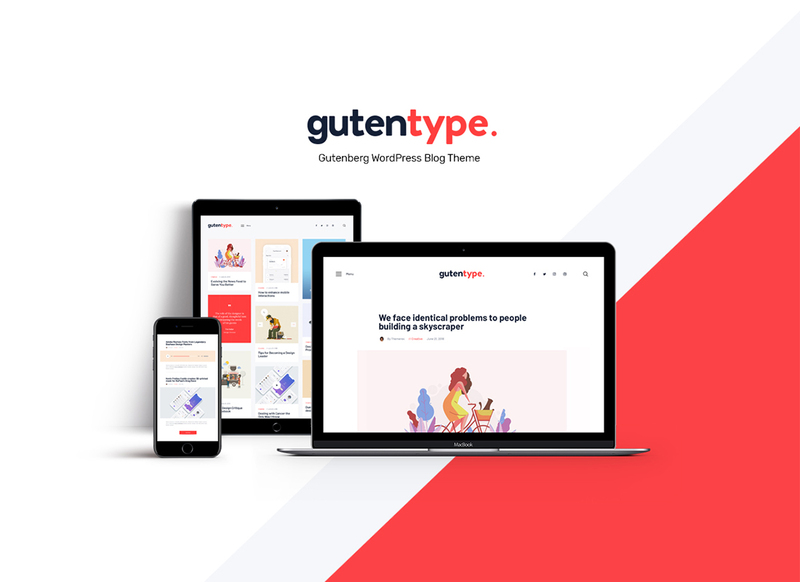 Create a modern and stylish blog With Gutentype theme and build custom WordPress layouts and manage the structure of the content-rich posts with ease. 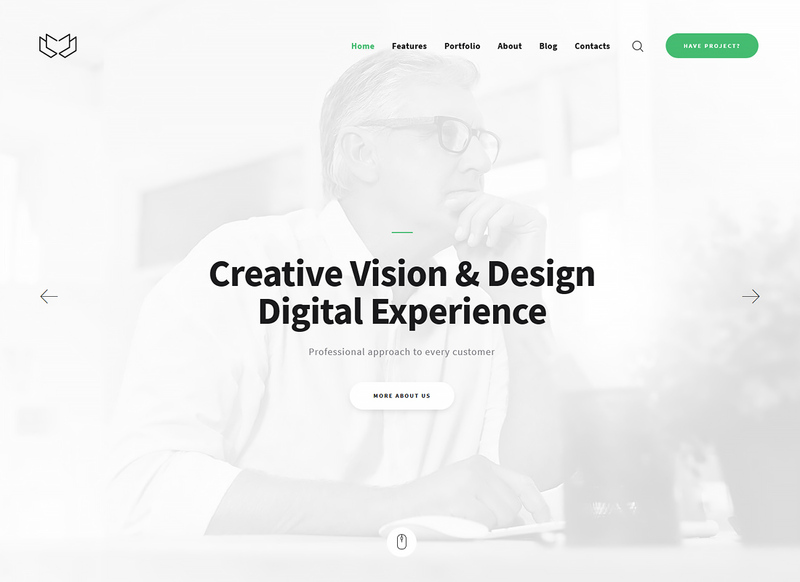 The theme is equipped with 3 custom homepages, has an Instagram Feed, MailChimp for WP, Contact Form 7 and multi-language options; not mentioning its SEO and Retina readiness. Use WealthCo to establish trustworthy relations between you and your clients. It comes packed with the following theme options: Sticky Menus and Sidebars, Awesome Fontello Icons, Google Fonts and Custom font, etc. 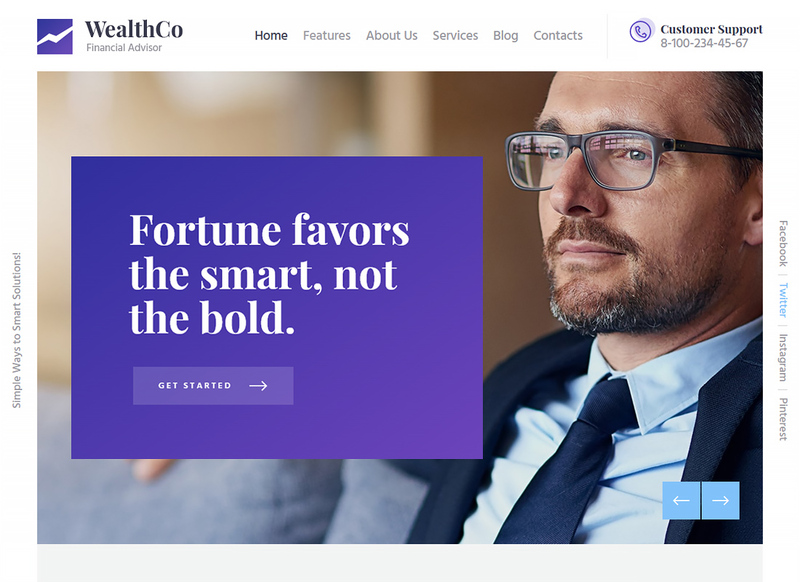 Besides, this theme supports Parallax effect background animation which makes it possible to equip the website with a smooth scroll effect and make your content look much more stunning and intriguing. Deviox is a powerful dazzling theme for your business. The theme is optimized for such premium plugins as Essential Grid, Revolution Slider, MailChimp, and ThemeREX addons. All these plugins provide you with an endless WordPress functionality. It has lots of pre-built pages, that look relevant enough to use it without making any additional adjustment. It is also great for those, who want to promote their social media accounts and gain more followers. 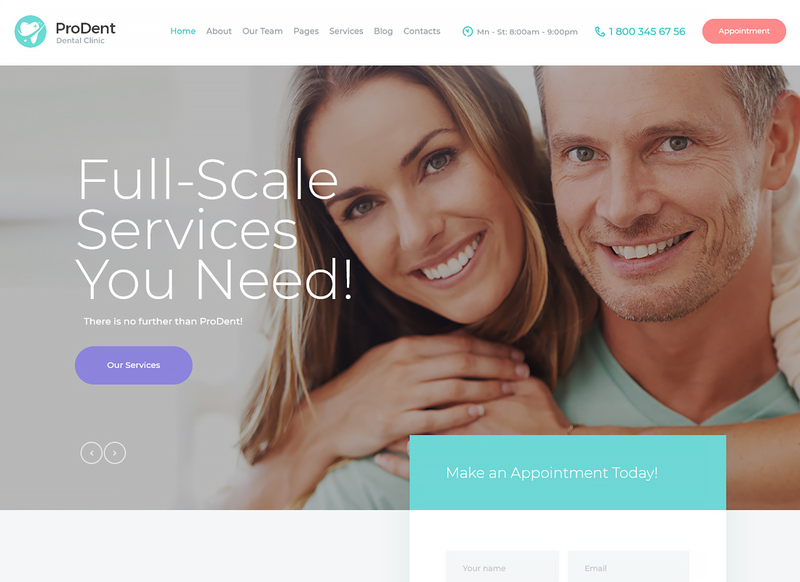 The healthcare establishments require the most reliable looking skin for the website. 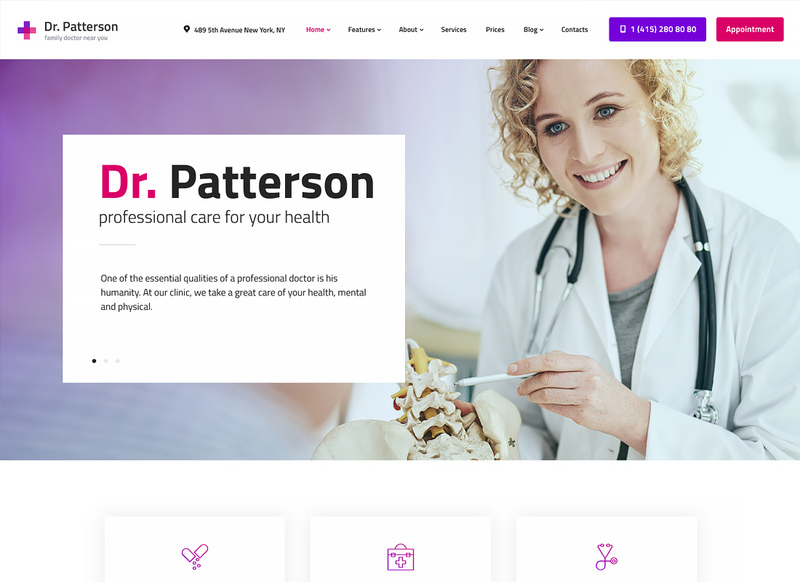 With Dr.Patterson you will look professionally no matter what web design skill you have. It has a bunch or ready-to-use pages and each of it suits medical topic. Moreover, you can always use a Gutenberg builder to compose content on your liking without touching code or paying web design studios for their costly services. 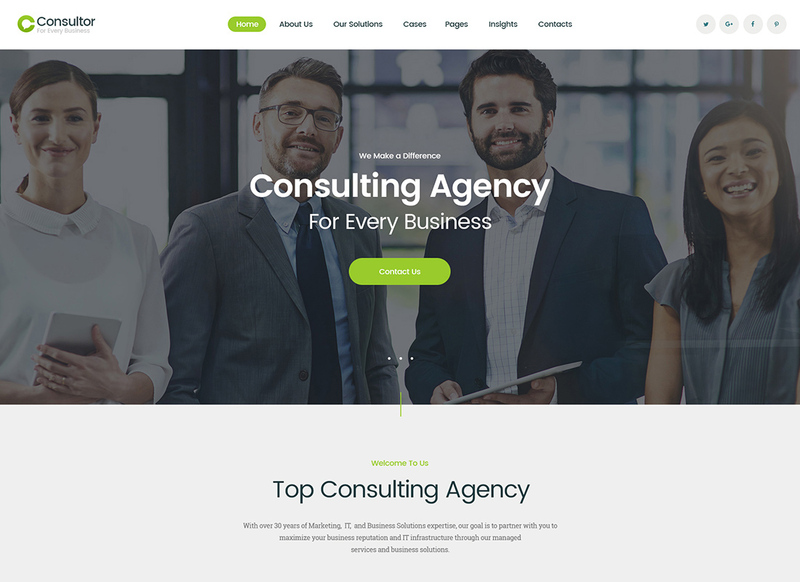 Consultor is a user-friendly theme for corporate businessmen and freelancers. The theme core features include drag-and-drop builder and high-quality HTML code. There are several multi-layout pages on different topics, that come stuffed with shortcodes and a variety of plugins. Enjoy the power and usability of its neat admin interface. This theme has a vivid and modish skin best suitable for ICO websites. Responsive and Retina Ready layouts will establish a polished look on desktop monitors, mobile devices, tablets, and devices with any kinds of screen resolution. The theme is based on the GDPR framework and totally meets the newest standards of WordPress data protection policy. 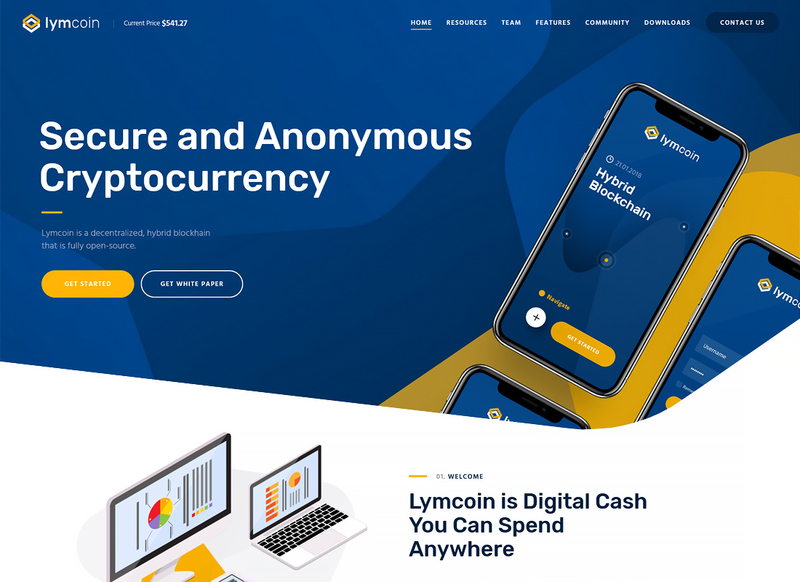 Lymcoin theme compatible with a variety of premium plugins and comes packed with lots of them. Are you a professional dentist? Then let us introduce you to a ProDent theme, which aimed to showcase your skills in the best light. Using a Revolution Slider you can demonstrate the top priority content or promote brands you are cooperating with. Also, you can use another premium plugin – Essential Grid, so that you will share your medical achievements in the entertaining and impressive way. 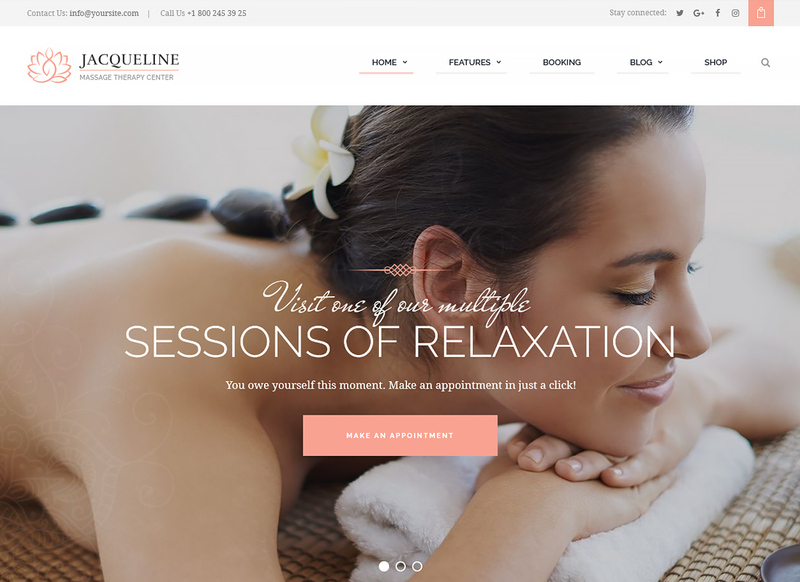 Pick Jacqueline theme to demonstrate your services in the most delightful manner. The theme comes packed with a bunch of pre-made pages which you can personalize using a drag-and-drop functionality. Its powerful framework ensures smooth maintenance and cutting-edge performance. Using this theme, you can diversify your website with Services, Team Page, Testimonials, and other diverting pages and custom post types. Improve your automotive business with a preeminent WordPress design. 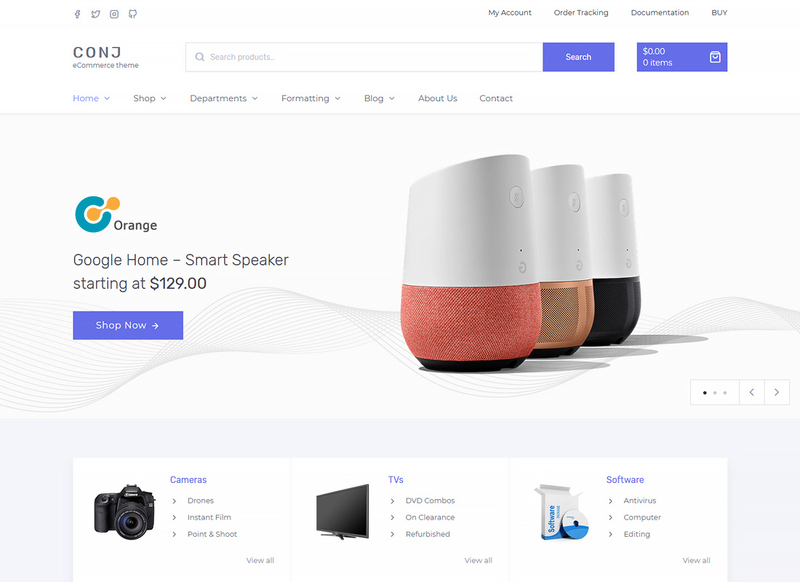 This theme comes WooCommerce ready so you can easily sale car parts and auto accessories online. It has a flexible color scheme and typography, so you can experiment with your content to make it look unique. 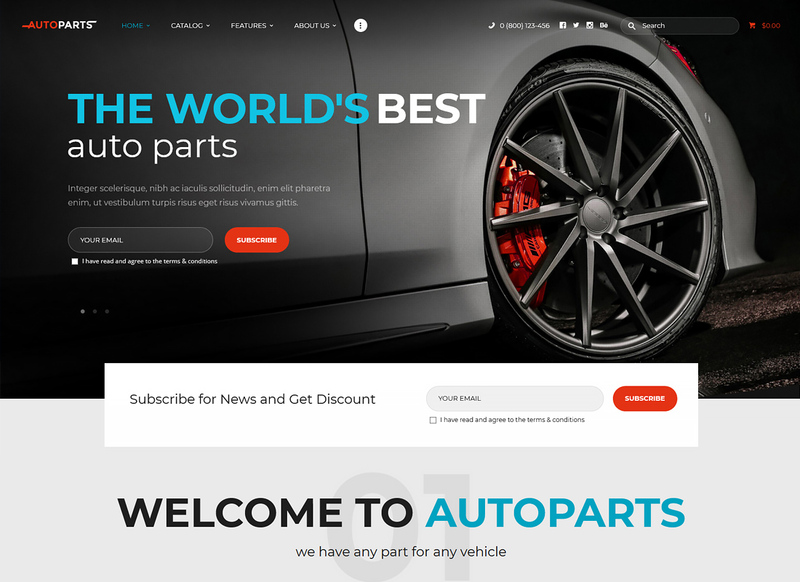 Car Parts Store theme has 2 layout options (Boxed and Full Width). Naturally, it is responsive and mobile friendly, so be sure your content looks perfect on mobile devices. Today’s community uses broadband and Internet services every day, so it is not a surprise this niche is full of competitors. MaxiNet theme will help you to highlight your company among others. Get tons of ready-made pages and customize it on your liking. This theme has an amazing Footer and Header drag-and-drop builder, so you can organize these areas effectively. You can change the color of certain website elements of the whole page using a color switcher. 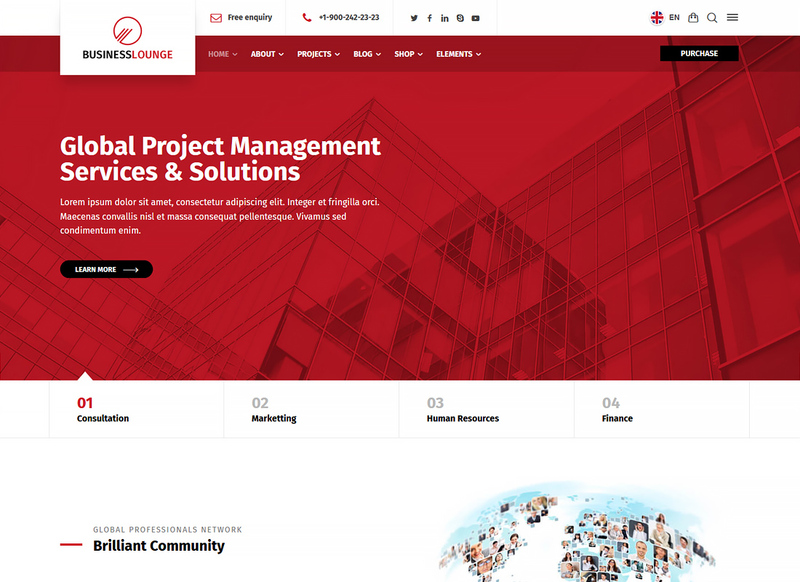 LeGrand is a great theme for all kinds of business, as it has a stylish and versatile layout. Compatibility with visual composers (WPBakery and Gutenberg) makes it possible to build a gorgeous and effective website from the scratch without touching a single line a code. It also compatible with the following browsers: Safari, IE10+, FireFox, and Chrome. You will always keep your website up-to-date, as the theme comes regularly updated. 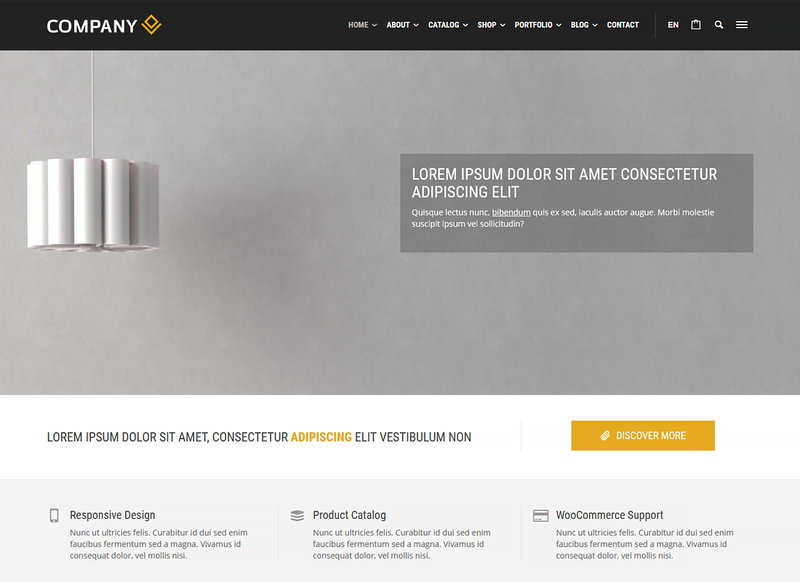 This theme is the alliance between premium design and endless website functionality. This one comes with several dashboard homepages that you can adjust and enhance using shortcodes, widgets, visual composers. It has an ultra responsive layout and comes highly-optimized for search engines. Such a theme will help you not only to represent your content attractively but also increase the number of your website visitors. It is a swanky and functional theme, that will help you to make a decent representation of your photographer’s skills. 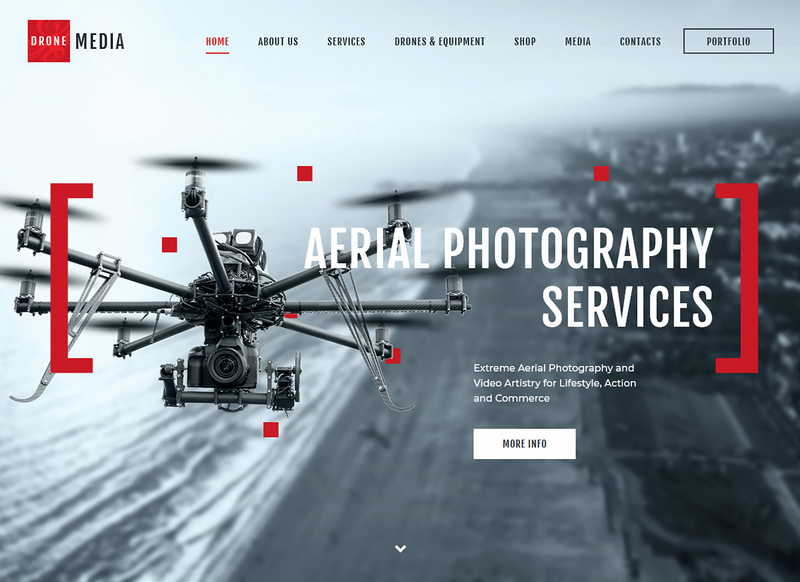 Drone Media has some unique shortcodes included, meaning you can make your content look remarkable and classy. It has a powerful admin interface and well-structured valid code, so you and your visitors will experience the fastest and smoothest website work. Use a Sticky Menu support to provide your clients with an easy-to-use navigation. Tabor is a super fast theme for writers, copywriters, and writing coaches. It has lots of built-in social sharing components, so you can use it for a social media traffic boosting.Tabor supports MailChimp plugins that will be useful in case you want to use dispatch of newsletters for some extra promotion. It offers you a variety of post formats to choose from, including a Video Post format which you can use to share some video content with your visitors. 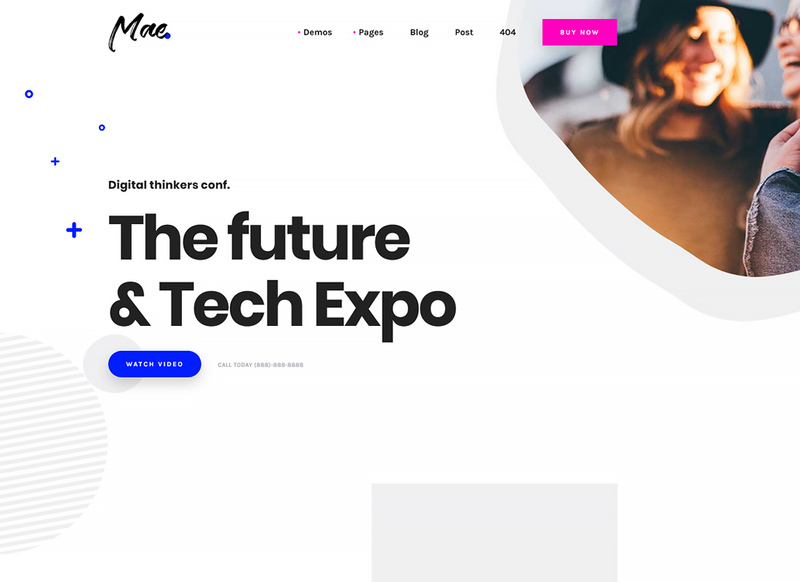 Clean, modern, stylish, minimalist, and visually polished design of this Gutengert compatible theme lets you demonstrate your taste and creativity. The theme comes with a bunch of PSD files included, so you can play with your content and find the best option. Mae theme is Retina ready, fully responsive, and optimized for speed. This features beneficial for both, web traffic boost and engaging more mobile internet explorers. Beautiful WordPress design for less than $50. It is not the myth but reality with this elegantly looking blogging theme. It supports two major priority plugins, namely Gutenberg and WooCommerce. The first one gives you an opportunity to build web design using an innovative page builder. And thanks to the WooCommerce compatibility you can also turn your storytelling website into a fully-functional selling website and build an income-generating business. Check out this clean, unblemished, minimalist theme. 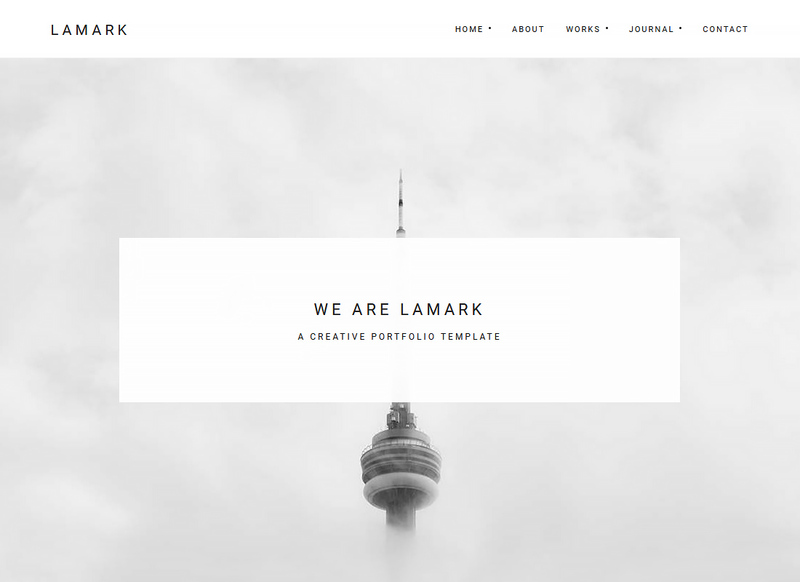 This one fits best to organize a creative portfolio. It has a functional Contact Form based on Ajax technology. This theme was crafted by top industry professionals, so you get it with a bunch of amazing UI and UX elements. Its valid and clean code is easy to facilitate which, in the long gang, simplifies the process of getting the best positions in Google and other commonly used search engines. 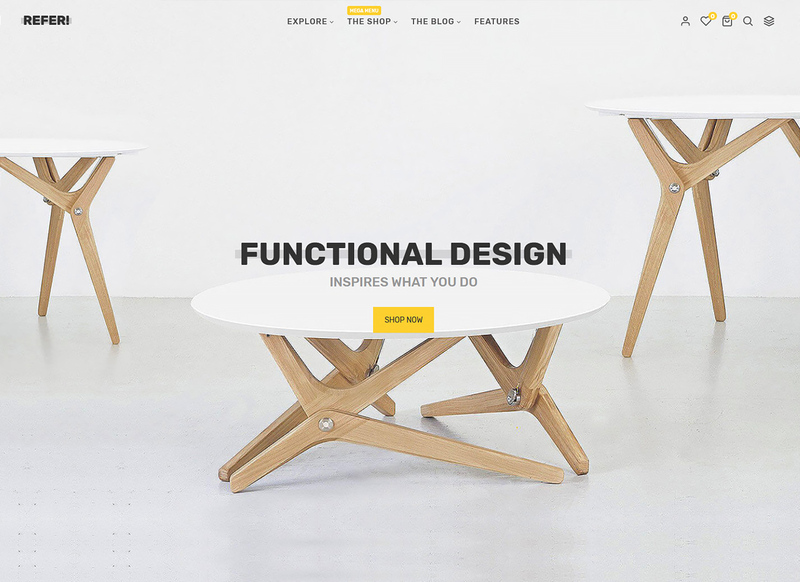 Refer is the theme for designers with a high-grade sense of style. It offers you amazing product pages, that come designed specifically to help you with a sales level increasing. Get it with an essential e-commerce feature – Quick View. 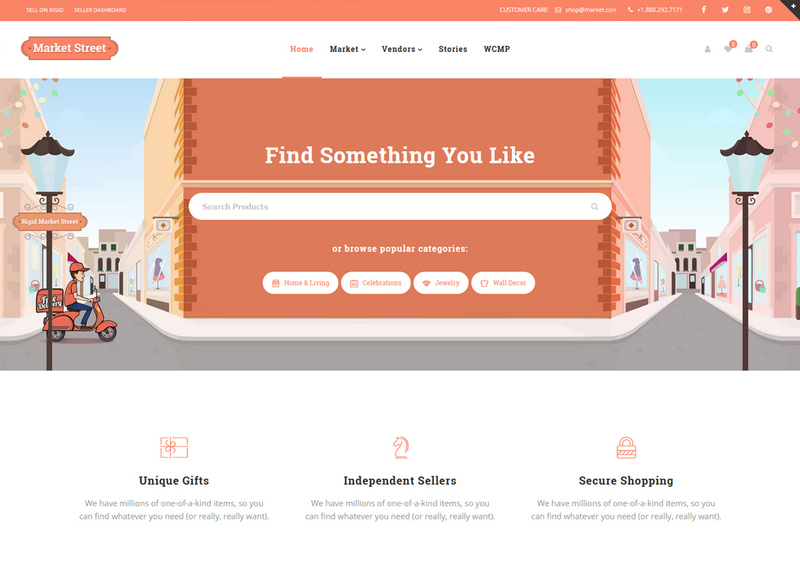 It is a powerful tool for an e-store, moreover, it comes totally free with this theme. With a powerful Mega Menu, you can build an immaculately looking menu with categories and columns that will satisfy your customer. This theme comes all updated for a Gutenberg which lets you feel the advantage of a breaking new ground website creation functionality. Being Translation and RTL ready, this theme minimizes the possibility of any translation issues. It has 3 different header styles to choose from. Also, you can use a video and image slider to make sure your visitors have an opportunity to observe the most important information in the most entertaining way. Everything organic and healthy is in trend now. And this theme has a very “down to Earth” design that will be warmly welcomed by all the fans of this philosophy. 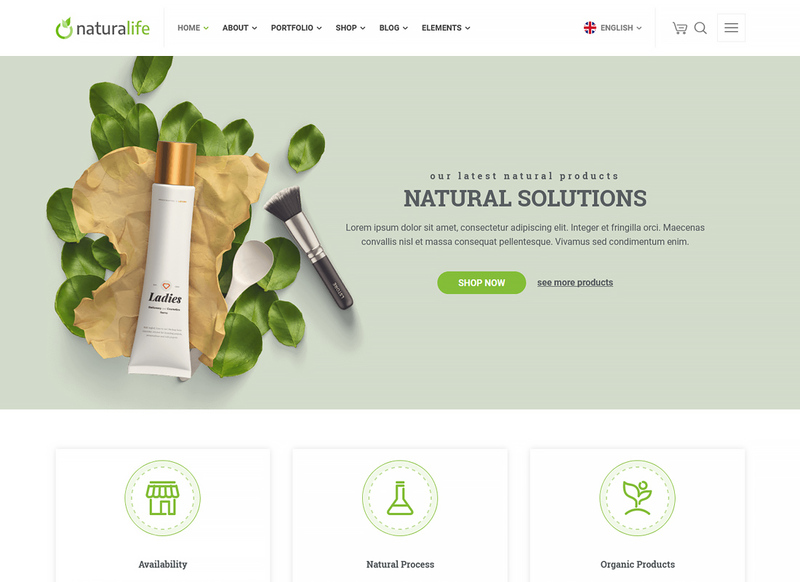 NaturaLife life is a customizable theme for an online organic shop. It has unlimited header and footer options vast range of portfolio tools, and, of course, gives users an e-store functionality with the WooCommerce plugin. Install 65+ template and page blocks in one click. This theme includes a list of features that will be useful for all kinds of business. It counts the Mega Menu, Slider Post Type. Hero Product, Header Customizer, Product Countdown and many others. Relish its simplicity from the very first second, as you can import all the demo data with a single click of the mouse. Don’t forget to use Featured Reviews Components to make a remarkable advertising of your products and services directly on the product page. Rigid is a GDPR ready theme for store or marketplace. It includes such amazing e-commerce features as AJAX Filters, Custom Product attribute swatches, Custom Product slider, Custom AJAX Search with suggestions, Custom Price Filter, Custom Quick View Feature, etc. You can make your content look unique and noticeable using Google Fonts and 8 Icon Font Families. Thanks to its responsive layout your visitors will have the most enjoyable shopping experience. RT-Theme 19 theme has lots of demos, including WooCommerce fashion store, creative agency, medical, consulting, restaurant, organic shop, and many others. You can customize every corner of your website without touching a code. The theme comes fully-responsive, Retina ready, search engine optimized, and WPML ready. You can build an e-shop or launch an exciting blog, simply use a one-click installation to import all the theme data. 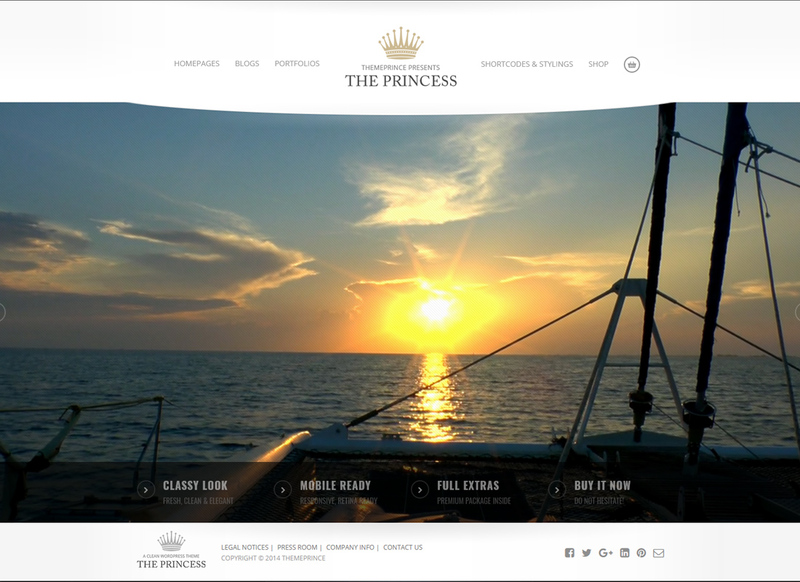 Looking for a dressy adjustable layout for your website? 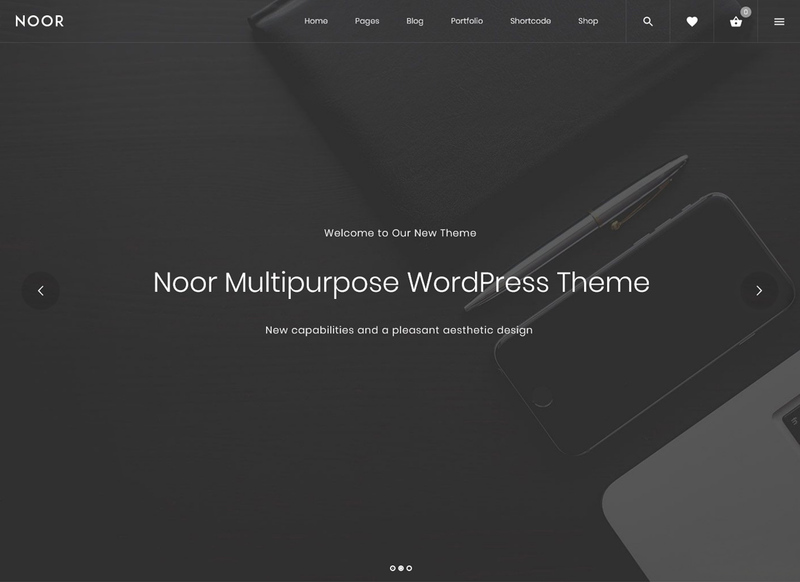 Pick Noor and you will be able to customize your website via neat front-end drag and drop visual composer. With this theme, you can control container width, floating section, section heights, sidebar positions, and other layout properties. 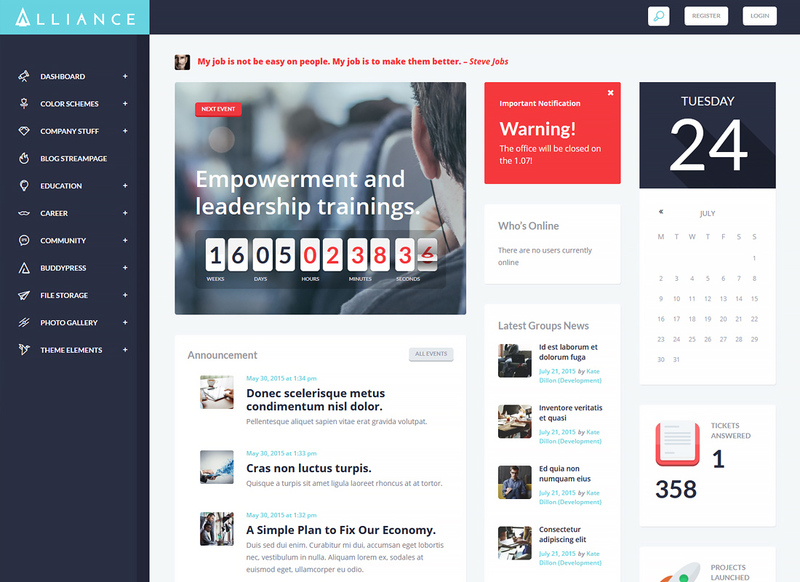 Take the advantage of 300+ theme elements and fill your website with a fascinating content. Represent your services in style. 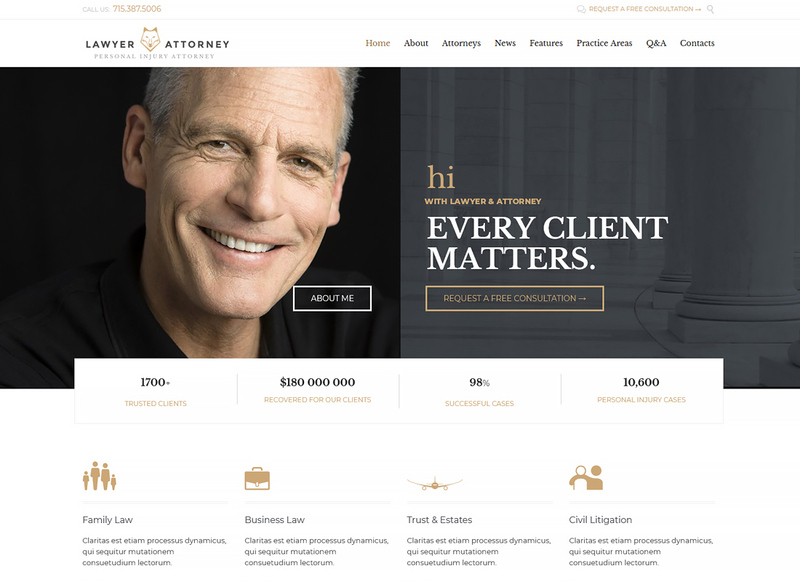 Lawyer & Attorney theme has an apple-pie website look with Easy Parallax builder, theme skin switcher, and 30+ custom pages. Also, it has a shortcode generator which means you can make your content more varied and engaging. There are 23 video tutorials for beginners that will help you to avoid any mistakes while the theme customization, and you get it for free. 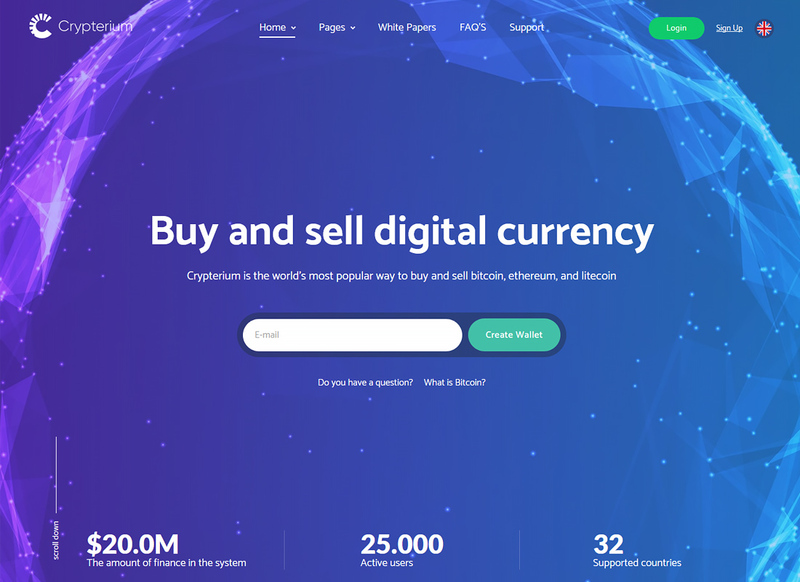 Here is another immaculate landing page for a cryptocurrency sell and buy website. 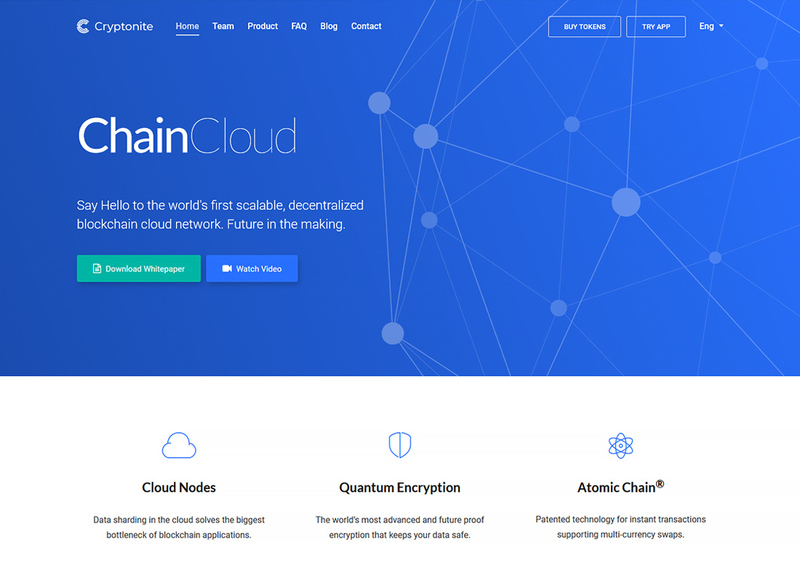 It includes 4 ICO landing pages and 20 animated pages for cryptocurrency business. Of course, the theme is WooCommerce ready, so you can sell online effectively. Also, it comes with a highly-useful feature which is an Automatic CryptoCurrency Price Converter – Calculator. Using this took your visitors can easily calculate costs and figure out the revenue. With Morz you will get a phenomenal pre-load performance. 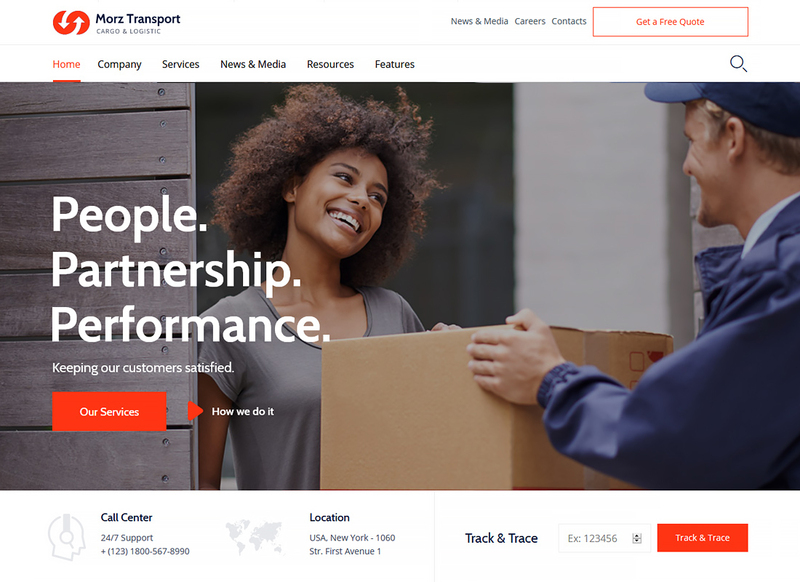 It has a bunch of custom icons that will cover the needs of logistic niche representatives. Moreover, you can edit the page live using wondrous WordPress Live Customizer. Its design and functionality were specifically build in accordance with the peculiar business slot. The theme requires no coding knowledge and comes compatible with premium drag-and-drop builders. 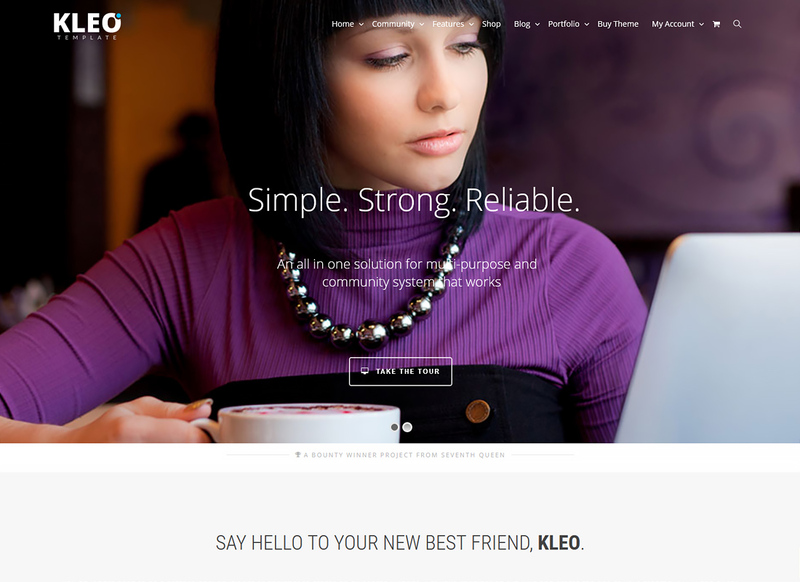 KLEO is a multipurpose theme with a vast WordPress functionality. It has a simple demo installer and supports WordPress Live Customizer. This tool allows you to adjust colors, layout styles, gallery, and sidebars in a live mode, without delays or page reloads. It comes with a Sensei – the ultimate Internet learning system, which will help teachers and educational services providers create e-courses and lessons with ease. Nex is an ideal industrial theme. It gives you lots of bonuses, such as a pack of stock images worthy $350, free lifetime updates, and 24/7 friendly and professional assistance. Also, it comes compatible with such plugins as Cube Portfolio, Revolution Slider, WPBakery, Google Analytics MonsterInsights, WPML, Yoast SEO, and much more. 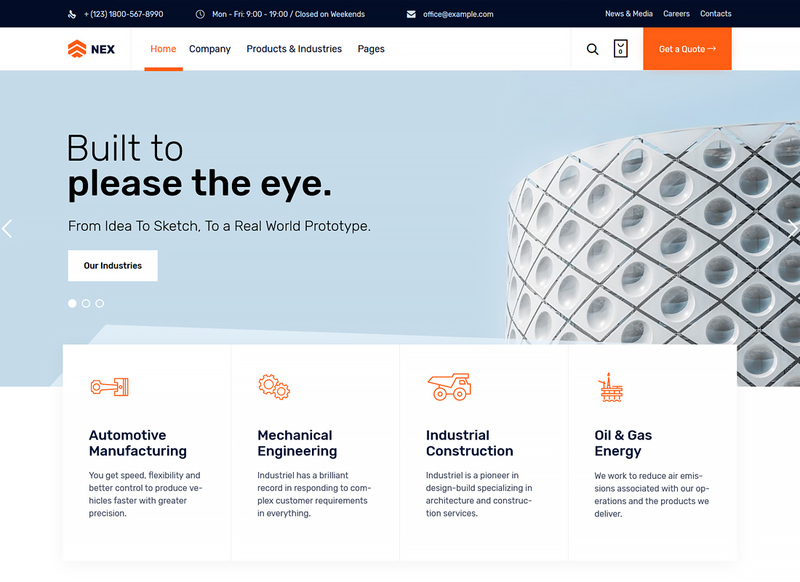 This theme has a gorgeous design that will be suitable for different factories, so you can launch a website very quickly. 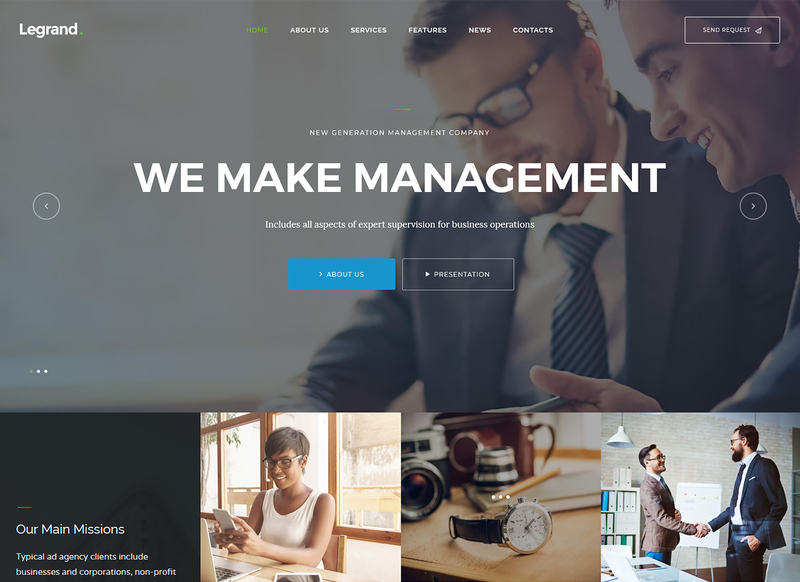 Business Lounge is a multipurpose WordPress solution. It has 12 customizable homepages, lots of header options, and two page builder options. You need no coding skills for the theme customization, as you have drag-and-drop options for it. The theme comes coded with a clean and valid code, optimized for speed, and ensures the best mobile performance. You will also get a cross-browser support for the highest efficiency. Cryptonite is a very beneficial niche to invest in, so we suggest you pick a premium web solution for this kind of business. It has a variety of Header and Footer styles, highly-responsive and Retina ready layout, and a perfect set of premium tools. Need to make your website in multiple languages? Not a problem, as the theme comes with RTL and WPML support. Besides, you will get a pack of a well-crafted theme documentation.